A research project conducted by Eucentre (European Centre for Training and Research in Earthquake Engineering), based in Pavia, Italy, is currently underway that uses a vision-based analysis system to assess the level of structural damage in test buildings subjected to earthquake simulations. The aim of the project, funded by the Italian Civil Protection Department and Foundation Cariplo, is to determine how stable existing buildings are during and after an earthquake. The findings from the project will be used to verify the efficiency of the rules for seismic assessment and repair for existing buildings included in the Italian Technical Regulations for Construction (2008). The research team, headed by Professor Alberto Pavese, developed the vision system using high-resolution cameras from Dalsa (2,352 x 1,728 resolution with a frame rate up to 120fps), supplied through the company’s distributor in Italy, Image S. A scaled 1:2 multi-storey building representing 50s or 60s construction was built on a shake table to simulate the conditions of an earthquake. 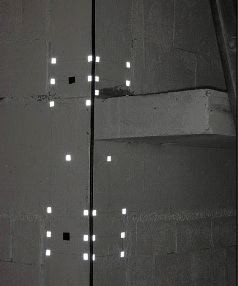 Infrared reflectors were placed on the walls of the building in a set pattern, with the cameras recording their motion to analyse the displacement of the structure. 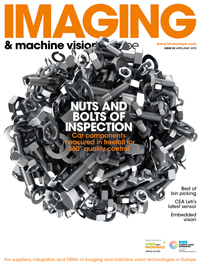 Vision also has an additional advantage for earthquake studies, in that it can provide information on the displacement and the deformation of the structure directly, which an accelerometer cannot. The first phase of the project is complete and the researchers at Eucentre are currently optimising the machine vision system to acquire further data.